On the edge of the wilds of India’s Ranthambhore National Park – the world’s finest wild tiger habitat – Sher Bagh is the brainchild of a family of wildlife filmmakers, who sought to provide a 1920s-style luxury tented camp experience while working tirelessly to conserve this pristine natural setting and support local NGO's such as the Tiger Watch NGO and their Village Wildlife Volunteers Programme (VWV). 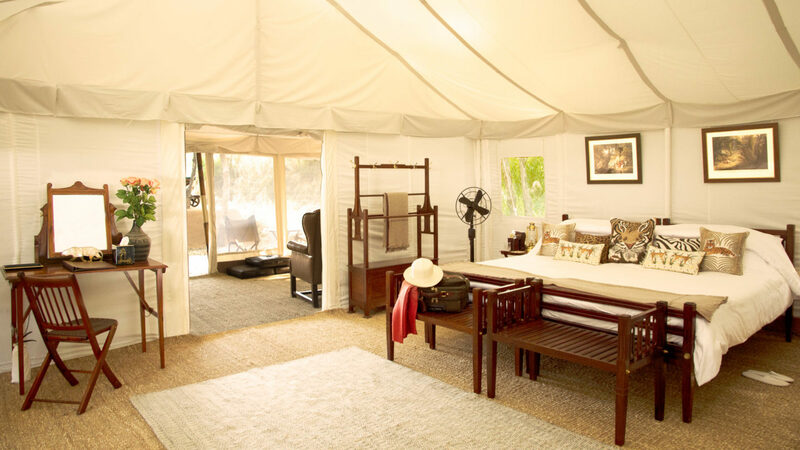 Twelve spectacular, canopy-style tents are available, each with an en-suite bathroom and a private verandah – the Burra Sahib and Pukka Sahib suites offer a Jacuzzi or private swimming pool. 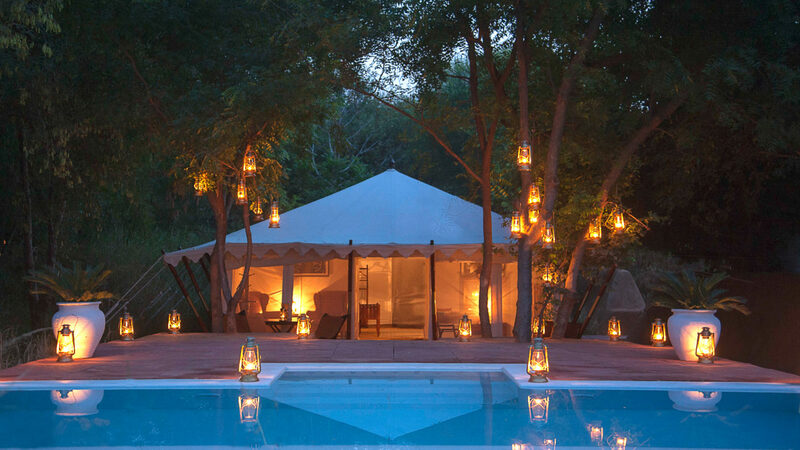 The Sher Bagh Jungle Spa offers quiet treatments under an ancient peepal tree. Anglo-Indian and European specialties are cooked in outdoor clay ovens and focus primarily on homegrown ingredients from the organic herb and vegetable garden and Sher Bagh Farm. Jungle lore of the day is shared over traditional thalis; secluded, more private meals under the stars may also be arranged. 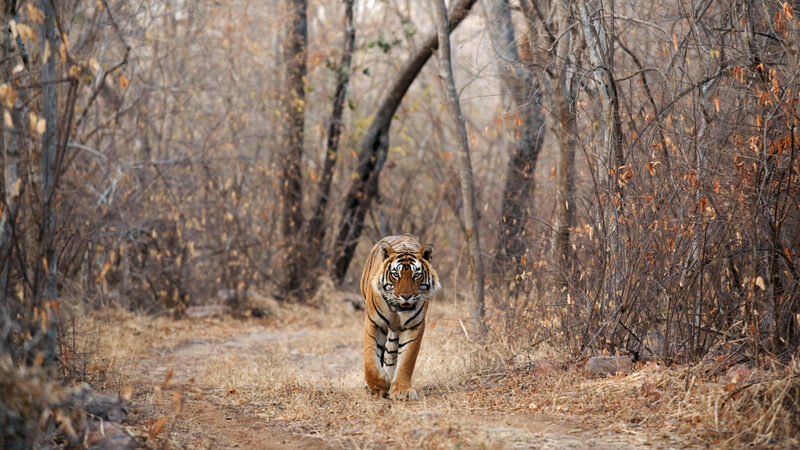 Guests can explore more with visits to Mughal ruins, palaces, cenotaphs and the 8th century Fort of Ranthambhore, a UNESCO World Heritage Site. 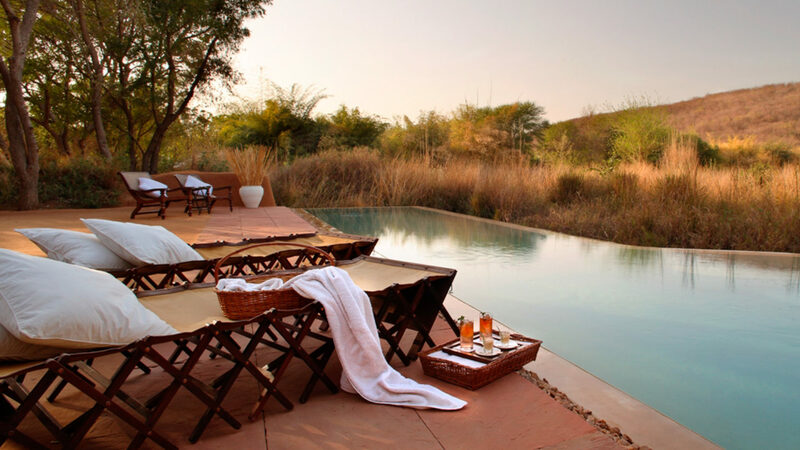 Sher Bagh is accepting reservations until May 31st, 2019 before it closes for low season.